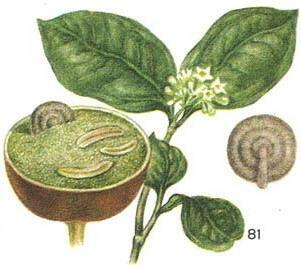 Chiriboga, gag nut (Strychnos, nuxvomica L.) - a tropical plant. Seeds contain alkaloid strychnine (see). Fig. 81. Chiriboga (left - fruit-section of the right seed.